Renald Showers is best known for his writings on prophecy. I had recently read a few of his books and chose this one also. It is a summary look at the history of Israel from its time of choosing by God to its captivity, and final rejection of its Messiah. Showers then traces the church age through the dark ages to the Reformation, the Age of Reason, to the present age. He spends time comparing prophecies of the end times (tribulation) to how the stage may be set today for those events to begin. 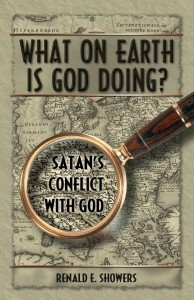 In the last chapter he describes the antichrist and related events. Good book.